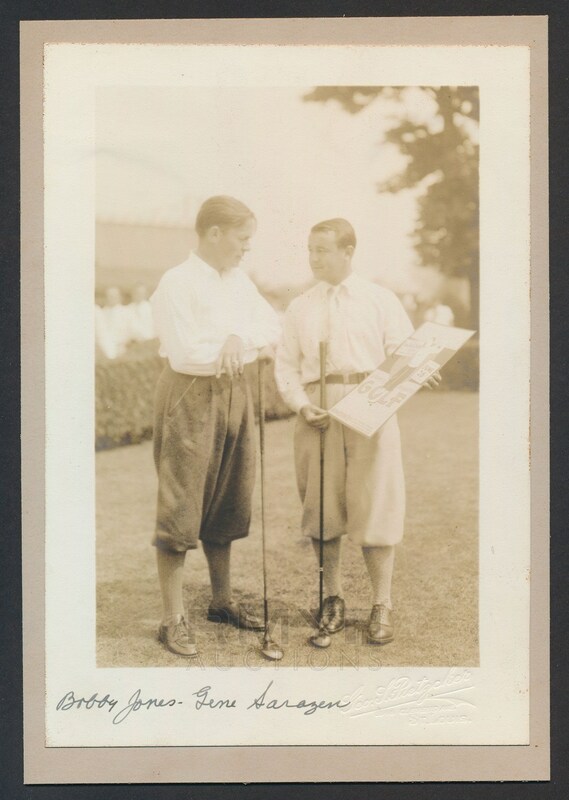 Incredible 1932 cabinet photograph by noted photographer George Pietzcker showing Bobby Jones and Gene Sarazen together before an exhibition match at Fresh Meadow Country Club. Taken the day after Sarazen won the 1932 US Open, Sarazen is holding a poster for the event and showing it to Jones for his opinion. 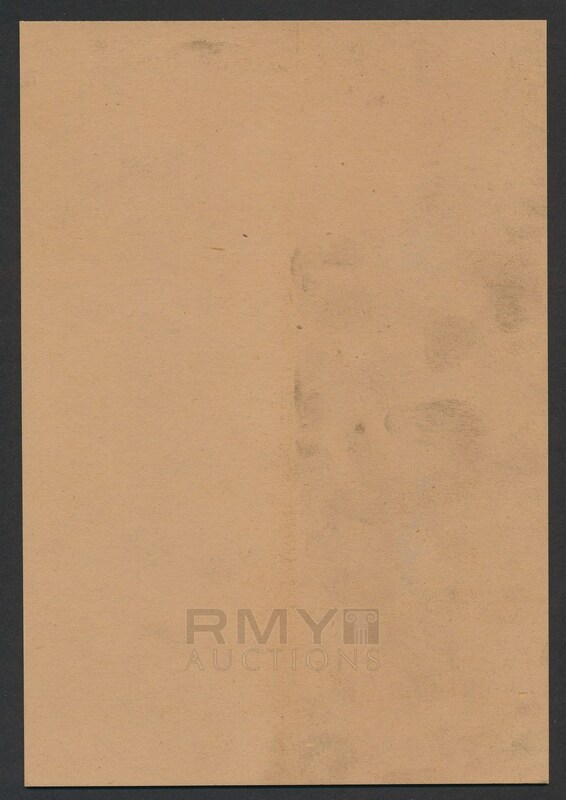 Pietzcker images of Bobby Jones are EXTREMELY rare and desirable with the only other known example of this photo being a larger version from the estate of Sarazen which sold for $9000 earlier this year! Condition and quality make this a perfect 10/10!